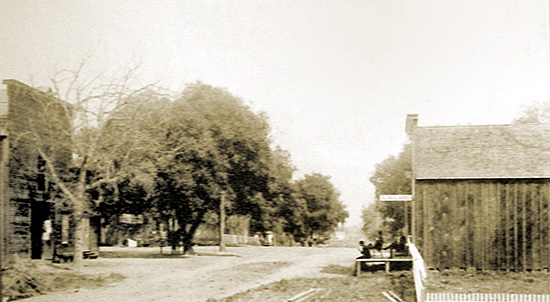 The City of Ojai was first established as a village in 1874 and given the name Nordhoff. The village retained this name for 43 years, until it was changed to Ojai in 1917. Its original name was derived from the author, editor and journalist Charles Nordhoff, who lived from 1830 to 1901. His name is still retained in the name of the high school, Nordhoff High School, and the name of the highest point on the ridge which forms the northern wall of the Ojai Valley, Nordhoff Peak. There is also a fountain at the center of the city which commemorates his daughter, Evelyn Hunter Nordhoff. Charles Nordhoff is frequently confused with his grandson Charles Bernard Nordhoff, co-author of Mutiny on the Bounty; but they are of different generations. Charles Nordhoff was a well-established author in his own right. He wrote about a dozen books. His first books were about his early life as a seaman, and his Man-of-War Life (1855) was used at Annapolis as a standard reference for naval cadets. His most famous book was California for Health, Pleasure and Residence, published in June 1872. He was a deeply religious man, and one of his books was titled, God and the Future Life (1883). His Politics for Young Americans (1875) was used in public schools as a civics text. 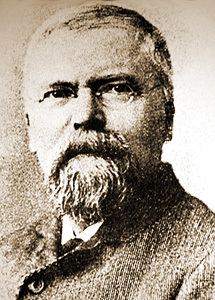 Charles Nordhoff was a “correspondent” in Washington, D.C., for the New York Herald newspaper from 1874 until his retirement in 1890. The New York Herald was the foremost newspaper in the nation, comparable to the New York Times today. This was at a time when there was no Internet, no television and no radio. Newspapers were the principal method of mass communication. As a “correspondent” (we might say reporter/commentator) at the nation’s capital for the nation’s foremost newspaper, he was at the top of his profession and was well-known nationwide. This is the common understanding as to how the village came to be named for the author, and it is an explanation that has been repeated many times over. Nonetheless, it is incorrect. The key to understanding what actually occurred rests in the fact that there was a subsequent edition of the work, published in 1882. The title page of the second edition stated that it was a “New Edition, Thoroughly Revised.” It is in the 1882 edition that information about the Ojai Valley is to be found. Unfortunately, it is also an edition that is less commonly shelved in public libraries. Charles Nordhoff wrote about the Ojai Valley eight years after the village was given his name. So, it wasn’t his writing about the Valley that led to the use of his name. The suggestion for naming the village is attributed to Catherine Blumberg, wife of the man who constructed the first hotel in the center of the hamlet. She thought the use of Nordhoff’s name would be a good idea (better than the Topa Topa first considered). Nordhoff’s famous book about California had been published a couple of years earlier, and tourists were carrying it about as a reliable guide to the state. If complete information had been available to Hutchinson, he would have reached a different conclusion. — Santa Barbara, The Daily Press, Oct. 31, 1881, p. 2:1. Charles Nordhoff doesn’t seem to have been a man who would have been lost to “ecstacies”, even though the Valley does have this effect upon some. The visit was a momentous event. Here was William Hollister, owner of the Arlington Hotel in Santa Barbara, and Dixie Thompson, manager of the hotel, escorting Charles Nordhoff on his first visit to the valley. Hollister was a man of considerable wealth, after whom the town of Hollister was named in northern California. So, both Hollister and Nordhoff had towns named after them. We see, then, that Charles Nordhoff first visited the Ojai Valley in October 1881. The second edition of his book on California, and the edition with information about the Ojai Valley, was published in 1882. He saw the valley before he wrote about it, and Hutchinson was wrong in this particular. Charles Nordhoff’s interest in the valley was friendly and supportive. He visited again in 1889 and 1894. He was a member of the building committee for his community church in Alpine, New Jersey; and when a decision was made to construct that church in stone rather than wood, the architectural design for the wooden church was sent to the Ojai Valley and used for the design and construction of the Valley’s Presbyterian church (which still stands). He (a Methodist) donated money for construction of the Presbyterian church and provided books for its “Sabbath School” (we would say Sunday School). Charles Nordhoff also established an enduring friendship with Sherman Thacher, founder of the Thacher School in the Ojai Valley. Thacher hosted a reception in the Valley for Nordhoff in 1894. There is a record that Thacher later visited Nordhoff at Coronado, California, where Nordhoff had retired. Thacher was also among the last persons outside the immediate family who visited with Nordhoff in San Francisco shortly before Nordhoff’s death.